Since 1972 WECO has been supplying a range of world class infrared control products, accessories and services. 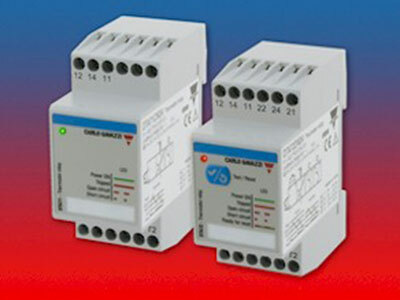 We additionally stock a range of Carlo Gavazzi products and distribute Hetronik Control Systems, which are popular throughout the plastics industry. We are able to provide custom controls ranging from simple percentage control all the way up to stand alone units utilizing a PLC and HMI controlling thousands of heaters individually. These control systems are designed and built to customer specifications. WECO International is your source for all heat / power control solutions. We can switch power via SSR, SCR, card based systems and more! Heater power can be Phase Angle Fired, Zero Cross, Sinuswave Fired, and more! 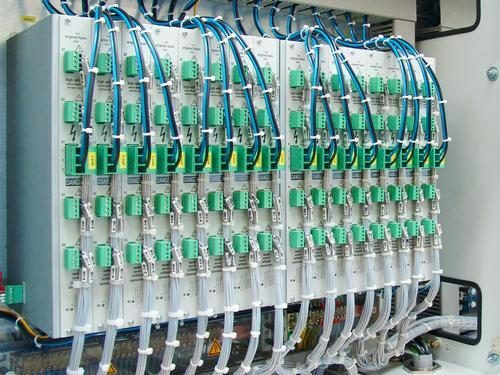 Systems can be integrated into an existing PLC communicating via Profibus or Ethernet. The systems are able to talk to all Allen Bradley, Siemens and other PLCs. All systems include intelligent zoning, reduced wiring, along with thorough system documentation. Options like lost heater detection, voltage compensation, and energy monitoring are all available. Carlo Gavazzi offers a comprehensive line of single loop controllers for use in temperature and process control on plastics and packaging machinery, food processing, semiconductor manufacturing, and for scientific and medical equipment (sterilizers, etc). All models feature PID auto-tuning and many also feature self-tuning – which continuously monitors the process and adjusts the control parameters to suit the conditions. Their range includes 1/16 and 1/32 DIN models with a user selectable input type and with up to 3 outputs. They also offer 1/8 DIN horizontal mount indicators and on/off controllers. When combined with their solid state relays, you have a leading edge solution for your temperature control needs. Check out more information about infrared heat and power control solutions, in our Automation area.